So this is Meatless Monday except on Tuesday! I love how the thyme flowers are the focus of this picture! This is such a good dish that highlights the seasonality of asparagus. It is easy to make. 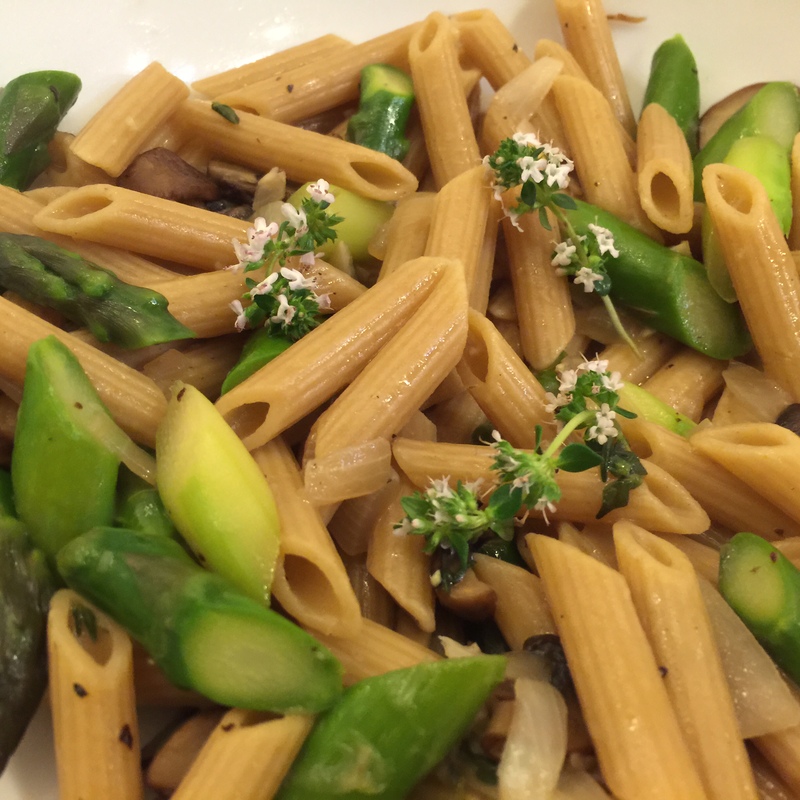 Just cut the asparagus into a penne shape, then sauté the onions, mushrooms, and garlic. When the penne is ready, dump it in the pan with the onion mixture and the asparagus. Add some reserved pasta water and cook until the the water is mostly absorbed. Top it with some fresh thyme and an additional drizzle of good olive oil. This entry was posted in Pasta, Vegan, Vegetarian. Bookmark the permalink.